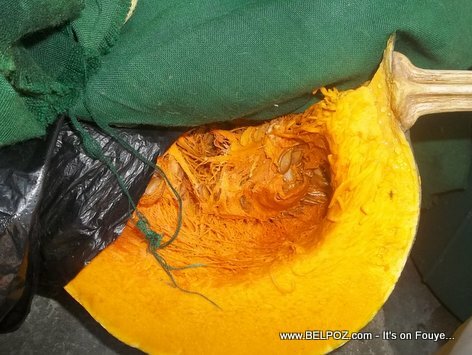 Every Haitian woman who knows how to cook, if you give her a piece of pumpkin(joumou) to cook, the very first thing she will do is scrape the hell out of the joumou and throw away everything inside including the nutritious pumpkin seeds (grenn joumou) as though everything inside of the pumpkin is trash (fatra). Here is what we found out about about pumpkin seeds that you probably didn't know. Pumpkin seeds are full of valuable nutrients including iron, zink and copper and these seeds are very high in magnesium. Pumpkin seeds are high in antioxidants, something that can help protect you from many different diseases. Let's not keep you waiting. Read this article from healthline.com and discover for your self all the great benefits of pumpkin seeds. Pumpkin seeds are packed with nutrition and may support prostate health. Because of this, pumpkin seeds are a popular folk remedy for men's health issues. Read more here. I know what you're thinking now... What do I do with my "grenn joumou" now that I now it's good for me? Come to think of it, eating seeds is not something that is common in a Haitian diet, something we should reconsider.